Imagine that you have solution to all of your problems at once! That is our Virtual Package in fact! 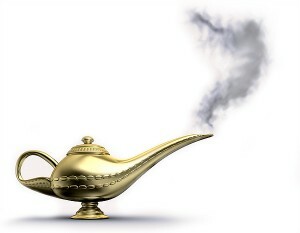 It is similar to a virtual magic Lamp of Aladdin! When you rub it, our Virtual Assistants Team appears and makes all your wishes come true! Once upon a time… there were people who lived in the world of the virtual reality, they played virtual games, communicated using virtual social networks, joined in interesting virtual groups, loved to participate in virtual meetings, and also worked on virtual business projects and … may be You are one of those virtual people?! One day, something amazing happened and life of those virtual citizens would never be the same again. The very first Virtual Package in the Virtual History was born and appeared on this virtual world! What is a Virtual Package and how it works for you? It works in the same way as the Aladdin’s Lamp Spirit. Our Virtual Package of services is flexible and designed to satisfy all your needs. Imagine that you and your beloved ones want to go the newest luxury restaurant at the city but you are too busy to find out where it is located, what food they offer and to make a reservation would be mission impossible to you. May be You want to go to theatre or movie and watch the funniest comedy but still can not take your time for research and reservation. What if you had your own Personal Virtual Assistant who would always support you with administrative services at acceptable prices? Sometimes it is normal to face conflicts with your girlfriend or boyfriend and it feels like nobody can help you. Advice from family or friends could not be the best options to choose from. May be you would need some objective advice and resolution from a trustworthy third party – how about having your Personal Virtual Coacher, Mentor who is a professional in psycho-social counseling? Let’s not forget that the more work you have to do at the office and the more technical problems with your computer arise, the less time you would have to take care of your private life and show your love to your family and folks. It would be really great if you had a Genius IT specialist at your disposal who would provide you with fast and effective IT remote support and solution to fix every bug, virus, error etc. at anytime you need it. You will feel surprised how useful it is to have your Personal Virtual Assistant – Administrative Secretary, as well as a personal Coach who is always by your side together with an IT specialist who would support you in all your daily challenges – all of them combined in one Virtual Package! Try it! Because you will save time, nerves and money!